THE VICTIM was a fighter, but strength wasn't enough to save him from a gruesome end. 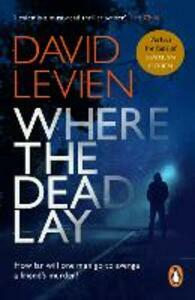 THE MISSING are two well-paid private investigators who vanish on a confidential job. THE FAMILY is formidable, crazy, deadly, and will stop at nothing to make a mark. THE INVESTIGATOR is Frank Behr: tough, reclusive, angry, and close to becoming . . . THE HUNTED . . . can Behr track down the killers before they add him to their hit list?